More hospitals in Ho Chi Minh City are now interested in using scooters to swiftly respond to emergency calls after the model was successfully piloted by a downtown hospital. Motorcycles have proven effective in making their way through the narrow alleys and crowded streets of the southern metropolis, where regular ambulances would have a hard time reaching. After three weeks of putting a fleet of motorcycle ambulances to use since early November, the Saigon General Hospital in District 1 said emergency response time has been reduced to three to five minutes for patients in the downtown area, and ten to 15 minutes for calls from District 4 and District 7. “Fortunately, there have been no reports of accidents involving the motorcycles so far,” said Nguyen Khac Vui, deputy director of Saigon General Hospital. Hospital employees have been trained to strictly follow a seven-step protocol in handling emergency calls to make sure patients receive emergency service within the optimal time window for treatment. Each two-wheeled ambulance is operated by a doctor and a nurse, who can either diagnose and provide treatment on the spot or determine that hospitalization is required, in which case they will remain at the patient’s side until a four-wheeled ambulance arrives. If the patient dies, the doctor is responsible for making a death records and hand it over to the police. “Could you please hurry? My wife is in pain. She is 31 weeks pregnant,” the voice of a concerned husband could be heard over the emergency hotline operated by Saigon General Hospital. Doctor Duong Tu Nguyen and a nurse wasted no time in grabbing their medical equipment and hopping on a scooter, headed for the caller’s house located deep inside an alley on Doan Van Bo Street in District 4. The busy streets of District 4 were made worse by rush hour traffic, but the two-wheeled ambulance managed to lane split its way through other vehicles in a race against the clock to reach the patient in need. Ten minutes after receiving the phone call, the doctor and nurse arrived at the house of 37-year-old T.T.N.N., who was in a life-threatening condition with the possible premature birth of her 37-week pregnancy. N. also suffered from a dangerous condition known as placenta praevia, where the placenta attaches inside the uterus but near or over the cervical opening. “The wife was on her bed screaming in pain when we arrived,” Dr. Nguyen said. Since the motorcycle ambulance service was launched in early November, Saigon General Hospital has received overwhelming positive feedback from patients, who applaud the noticeably quicker response time compared to conventional four-wheeled ambulance. 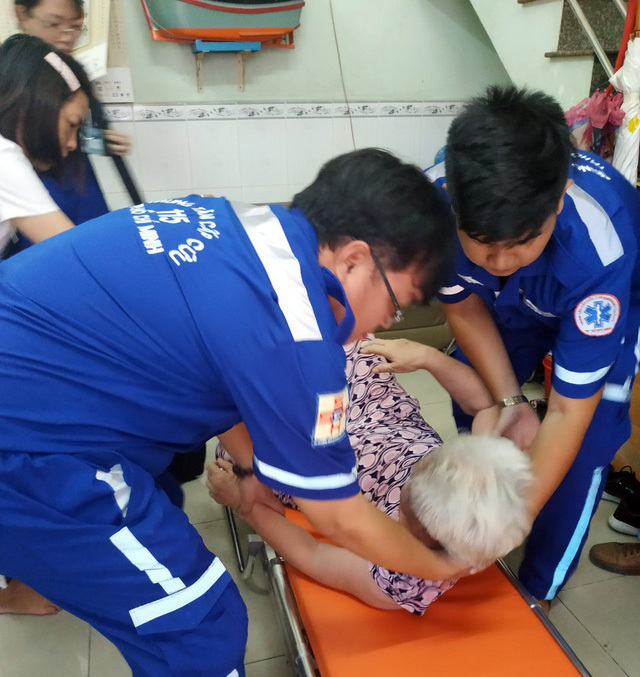 “I didn’t expect the ambulance to arrive so quickly,” said H.H.T., an 82-year-old patient diagnosed with high blood pressure and diabetes who is a ‘regular customer’ at the emergency room of Saigon General Hospital. Twenty-six out of 67 emergency dispatches by Saigon General Hospital between November 7 and 26 were made by motorcycles, according to hospital director Nguyen Khac Vui. Patients come from all age ranges with diverse medical conditions, Vui said. “We often inform the patient that we would be arriving on a motorcycle before we set off,” said Tran Dien Tu, a hospital at Saigon General Hospital. Following the success of Saigon General Hospital’s piloted scheme, a number of public hospitals in Thu Duc District, District 1, District 2 and District 4 have sought approval from the municipal health department to launch similar services. According to hospital leaders, crowded streets and growing number of emergency calls have posed a challenge for doctors to respond to all calls in time using conventional ambulances. “With only three ambulances available, our hospital faces a tough choice deciding when to dispatch a vehicle in response to an emergency call,” said Tran Van Khanh, director of District 2 Hospital. 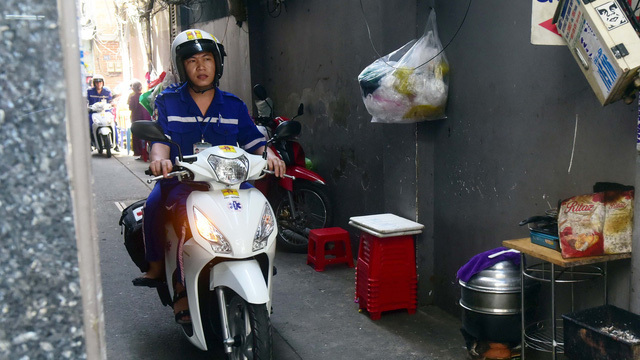 “If the two-wheeled ambulance service can be implemented, it will be a huge relief for our staff,” said Nguyen Minh Quan, director of Thu Duc District Hospital, where only two ambulances share the burden of responding to around 30 emergency calls per day. Tan Chi Thuong, deputy director of Ho Chi Minh City’s Department of Health, said the department is looking to expand the scope of the pilot scheme to other hospitals in the months to come. 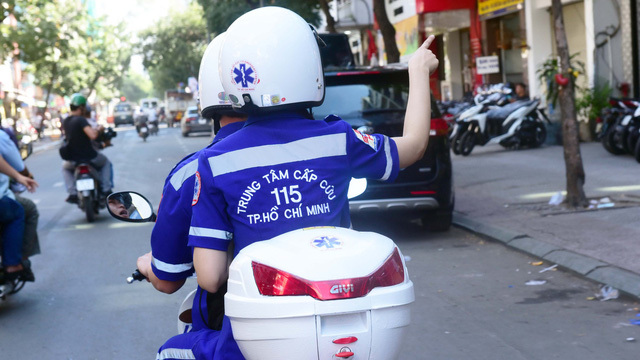 If the model is widely considered a success, the department will submit an official evaluation to the municipal administration asking for approval to officially launch two-wheeled ambulances city-wide, Thuong said.